Despite the redemption, many Christians will struggle with this passage. When we read such passages, our tendency as Christians may be to dismiss it as an archaic text from the Old Testament, something that our Jesus came around to put an end to. For the God of the New Testament is a loving God who gives everything for the salvation of his people and of the entire world. Some may go as far as to say that once we accept Christ as our personal saviour, it’s smooth sailing for all of us. The Gospel begs to differ: There is no smooth sailing, but rough water, upon which the Apostles find themselves one windy night. Jesus appears to them walking on water. Peter, ever so ambitious and eager to follow the Lord, desires to join him even in this humanly impossible accomplishment. At first his faith sustains him and he also walks on water, but it does not take long for him to start sinking. You’d think that a loving, caring, kind Jesus would tell him, “It’s ok, your faith will teach you to do such things and so much more with time.ˮ Instead what we hear him say is, “Oh you of little faith” (Mt. 14:31). I feel that if I had been present, I probably would have said something like, “Oh you of little patience. Come on man, it was his first attempt at walking on water! He’ll get it next time. Right, Peter?” However, it’s tough love that Jesus offers to Peter, and to all of us through this passage. And the fact is that we need that tough love. 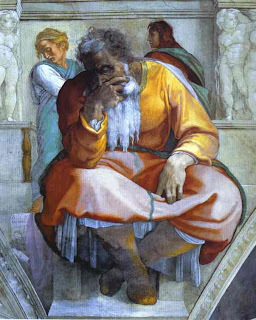 Whether it comes from the Old Testament where God pushes his people to live out their covenant with him with greater holiness and purity, or whether it comes from the mouth of our Saviour who seems to believe so deeply in our human capacity to experience God more and more deeply every day, we need to receive that tough love with an open heart. Particularly when we do start to sink in our own life. In such moments, our prayer should not be, “Lord, please prevent me from sinking”, but, “Lord, what lessons am I to learn from my own experience of darkness? How can I be get stronger to follow you more genuinely every day.” For it is through our own times of trial that we experience God’s tough love, the lessons that we can learn from the divine as we suffer. Lessons that make us stronger, and more ready to participate in the building of the Kingdom of God.